In the meantime, from me to you-Happy New Year! 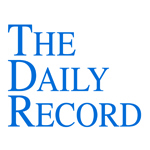 This week's Daily Record column is entitled "The Future is Now." It's time for the legal profession to pull its collective head out of the sand when it comes to technology, the Internet and Web 2.0. Technology is here to stay and ignoring it no longer is an option. Law firms and lawyers who turn a blind eye to technology do so to their own detriment, and their failure to acclimate to rapid technological change is going to catch up with them in 2009. Like it or not, technology has infiltrated nearly every aspect of life. All kinds of information, including the very latest news, is available online. Phone numbers, addresses and contact information for of every type of business is readily accessible on the Internet. Shopping can be accomplished quickly and securely with the click of a button. Music can be downloaded from iTunes. Movies and television shows can be instantaneously streamed through Netflix or Hulu.com directly to a high-definition television via a laptop. 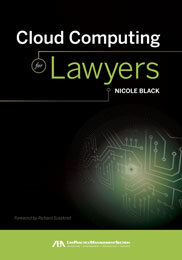 Likewise, technology has infiltrated the legal profession and leveled the playing field in ways never before seen. Small offices now can compete on even footing with large law firms. Entire offices can be operated remotely using reasonably priced Web-based tools and applications. Documents can be stored securely on remote servers. Law offices can use Web-based practice management and time and billing applications such as Rocket Matter in lieu of the complicated and expensive software traditionally used by the legal profession. Virtual law offices now are a reality and the value of online real estate has increased exponentially in recent years. With just a little effort, and minimal expense, solo practitioners can create a strong online presence that competes with that of larger firms. A well-written law blog and polished profiles and content at JDSupra, Avvo, LinkedIn, and Facebook can do wonders for a lawyer's search engine ranking. Online networking with lawyers and other professionals through Twitter and other online networks can lead to a steady stream of business. By way of example, over the last six months I've received referrals from other lawyers across the country as a result of networking on Facebook and Twitter. Potential clients from across New York State have contacted me through my blogs, Twitter and Avvo. I've also had former clients call me after locating me via Internet search engines. I've been preaching about technological change for years now, as have many other cutting edge, influential lawyers from whom I've learned a great deal: Carolyn Elefant (www.myshingle.com), Susan Cartier Liebel (www.solopracticeuniversity.com), Grant Griffiths (www.homeofficewarrior.com) and Kevin O'Keefe (www.lexblog.com), to name just a few. It seems the legal field is finally starting to sit up and take notice. Facebook has become mainstream. Law blogs are all the rage. When I began blogging in 2005, no one knew what a blog was. Now law firms, big and small, are launching blogs at an unprecedented rate. The legal profession is just beginning to acknowledge the power of technology and the Internet. That's a start, but reluctant acceptance simply is not good enough. The legal profession must learn to embrace, not fear, the changing landscape. There is still a demand for legal services, and there always will be - technology has not changed that fact. Technology has altered the playing field and the rules of the game by changing the ways in which legal services are marketed, sold and purchased. The change is not temporary, but permanent. Lawyers who accept and embrace that fact and position themselves for the future - rather than denying its reality - will prosper and profit in 2009 and beyond. Will you be one of those lawyers? Are Attorney Fees Recoverable in Legal Malpractice? Sui Generis will be on a brief hiatus until the weekend. This week's Daily Record column is entitled "The state of New York." The State of New York is not good, as is evidenced by a review of recent events. For starters, we will lose an extraordinary woman from our upper ranks when New York Court of Appeals Chief Judge Judith S. Kaye retires at the end of the month. Some have defended the list by asserting that only two women attorneys have acknowledged applying for the position: New York Court of Appeals Judge Carmen Beauchamp Ciparick and Chief Administrative Judge of the New York City Civil Courts Fran A. Fischer. In other words, the application process is arduous, requires a substantial amount of work on behalf of the applicant and only those who believe they have a remote chance of making the short list actually would be inclined to apply. That only two women applied to fill the vacancy speaks volumes regarding the level of openness and acceptance of those in positions of power and influence within the legal field. That neither of the two highly qualified women judges made the list is all the more illuminating. Also illuminating, on a completely different level, was this year’s salacious downfall of our former governor, Eliot Spitzer. That sordid chapter in our state’s history finally drew to a close just as Wall Street, another seemingly indestructible New York giant, collapsed. As Paterson recently conceded, our state now faces the worst fiscal crisis since the Great Depression. A fifth of our state’s tax revenues came from Wall Street’s financial sector; as a result of its collapse, and the recession that followed, New York now faces a $15.4 billion budget deficit, the largest in its history. In an effort to reduce the deficit, Paterson last week proposed a spending plan that will affect the vast majority of New Yorkers in one way or another. The plan would eliminate STAR property tax rebates and increase tuition for the State University of New York and the City University of New York systems. You also may have heard the collective groan of computer geeks —myself included —when we learned of the proposed tax on “digitally delivered entertainment services,” including music downloads from the increasingly popular and addictive iTunes. Oenophiles, on the other hand, likely are torn between cursing newly-proposed taxes on wine and cheering a plan that would allow the sale of wine in grocery stores, a convenience available in many other states that New Yorkers have long coveted. The public policy considerations behind the plan are perplexing, and are difficult to discern. The governor’s spending plan paradoxically encourages gambling by reducing restrictions on gaming, while ending a sales tax exemption on movie theater tickets, discouraging New Yorkers from seeking out a more innocuous form of entertainment. It taxes sugary drinks, while exempting caffeine-laden drinks such as coffee and tea. I suppose the lesson to be learned is that nothing is perfect. The proposal is contradictory and confusing, not unlike the recession that required such drastic measures. Career prosecutors like Eliot Spitzer, who devote their lives to upholding the law, are only human, just like the rest of us. And, finally, the alleged goals of diversity and equality are great in letterform, but until they are applied in actual practice, are worth no more than the paper on which they’re written. A few days ago, a downstate attorney clicked on the "Chat with me" badge to the left and attempted to ask me about the "Crime Time" sentencing program I'd posted about previously. Unfortunately, I had just installed an add-on to Firefox that interfered with the Google chat module, and I wasn't able to respond in a timely fashion. As many of you are aware, CrimeTime was a free sentencing software program created by the late George Dentes, former Tompkins County District Attorney. In 2006, the New York Prosecutors Training Institute (NYPTI) acquired the program. NYPTI updated and converted the calculator to a web-based application that is now available on the its website: http://crimetime.nypti.org/. On the NYPTI welcome page under the Disclaimers section you'll find a request for an email address to gain access to the system. The main search page has tabs to allow searches by PL, VTL or All Laws. Search terms must be either name or section number, e.g., assault (note that inconsistent use of dashes can impede searching by degree: assault 2nd versus assault-3rd) or 120.00. Name of crime is linked to text of statute; Select the Crime Button will lead you through the sentencing analysis. You must disable your web browser's popup blocker to view the final result. There is a help guide for more assistance, http://crimetime.nypti.org/Help/CrimeTime_Help_10-31-08.pdf . Hopefully the lawyer who tried to chat with me sees this. And, if not, it should be helpful to some other readers out there.